Incorporating Services, Ltd. (Incserv) is an active member of the National Public Records Research Association (NPRRA). One of the many benefits of this membership is the continuous flow of information from other members regarding changes in policy, law and processing of public records searching and filing across the US. We received the below information from the NPRRA. 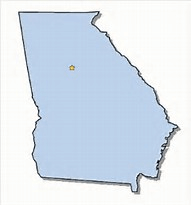 Georgia HB87 was signed by Georgia Governor Nathan Deal on May 1, 2017. The bill authorizes the Secretary of State to provide for multiple-year registration for business entities and permits the re-domestication/conversion of foreign and domestic nonprofit corporations. The bill becomes effective July 1, 2017. If you have questions or need assistance, feel free to contact us or call 800-346-4646.